Please be aware that this is purely a listing service. None of the pre-schools have been verified by Oxford Mumbler. Parents need to make their own enquiries and check references. Please see our full terms and conditions. Nurseries are OFSTED-registered, privately-run and are usually open throughout the year with daily opening times to fit around office hours. Nurseries usually take babies up to school-age children. Pre-Schools usually offer care for children from ages 2 to 5, and are only open term-time and school hours. They are OFSTED-registered and are often attached to a school. We are a small and welcoming community nursery established in the 1960s. Our aim is to provide the highest possible standard of nursery care and education. A fun, stimulating, play-focused and welcoming indoor & outdoor setting where children are able to follow their own ideas, supported by well-qualified and caring adults who are guided by the Early Years Foundation Stage. The Hunsdon House family ethos is rooted in its history, as it started in the 1920s in a family home. To this day the nursery offers each child a nurturing haven of love and guidance as they navigate the world of friendships, nature and creation. Kennington Playgroup offers a secure and happy environment where children are encouraged to learn through play. We aim to provide an environment where all children can develop as individuals to their potential. The aim of Little Bears has always been to provide high quality childcare and education within a community Pre-School. We are an independant, family orientated preschool that also provides wrap around school care for children. We are a ‘not-for-profit’, registered charity and are governed by an elected committee of parent volunteers. Our aim is to create a setting which is truly an extended ‘home from home’ where children are happy and nurtured in a well-planned, calm, beautiful, safe, multicultural and multilingual learning environment. 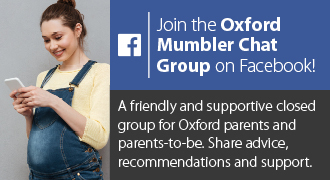 Polstead is a parent-run preschool established over 35 years ago serving the Oxford community. We will encourage each child’s physical, intellectual, emotional and social skills through their play. We have children and families at the heart of all we do. Our mission is to meet the individual needs of every child who attends Slade Nursery School and Day Nursery. Walk into St Clement’s Church Pre-school and you will find a warm welcome and lots of happy, busy children who feel right at home. At The Children’s House we pride ourselves in having highly qualified mature staff and an excellent teacher:child ratio to ensure at all times that the children can get the very most out of the Montessori environment. The Pod is our outstanding nursery setting within St. Gregory the Great Catholic School. This is where our youngest children are educated and nurtured until they move on to the reception class. The pod was purposely refurbished and opened in January 2015. There are many opportunities to ensure that while your child is at nursery, we get to know them and you and everyone else who is important to them. We provide an environment where children’s emotional, physical, social and intellectual development are encouraged by stimulating their natural thirst for knowledge and their desire to explore their surroundings.